You do not have to worry about cleaning your kitchen, you can hire our professional cleaners to do it for you. We are a cleaning services provider that has designed a very fairly priced and convenient kitchen cleaning service to help its clients. We operate here in Cricklewood, NW2, and if you live here, you can feel free to call us right away. We are always ready to help. Our company has been around for a few years and we dare say we know how to give our clients satisfactory results. Trust us, and we promise you you will love our service. By choosing our kitchen cleaning service, you will be doing your kitchen, your family and yourself a favour. With our service, you will get a spotlessly clean and disinfected kitchen, and you will save yourself some money with our budget friendly prices. Our cleaners will perfectly clean and polish all surfaces – wooden, marble, etc. They will clean and sanitise your sink. 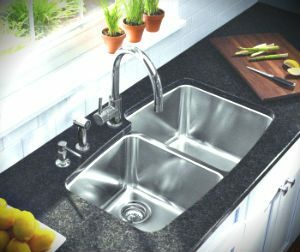 They will de-grease where it is necessary – oven, stove tops, etc. You can rely on them to damp-wipe all of your kitchen appliances, cupboard and cabinet. They will dust thoroughly, vacuum and mop the floor, clean the windows internally, and take out the trash. 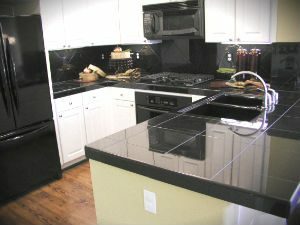 Call us as soon as possible for a perfect kitchen cleaning service in NW2. We will not disappoint you, we swear. Our cleaners are the best, and they will take good care of your kitchen. We promise you and your family will love our results. Call us now.